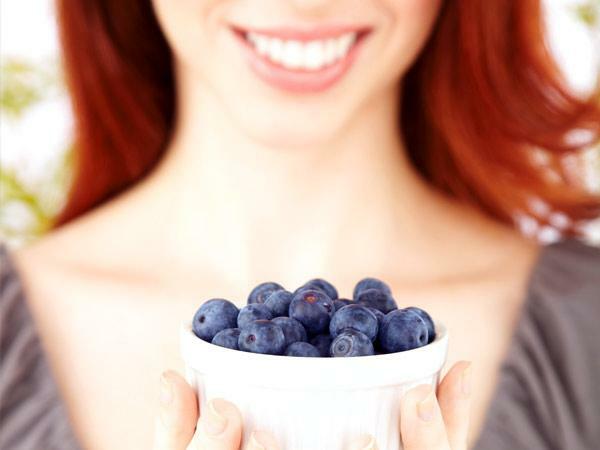 Antioxidants help fight the signs of aging skin, and blueberries are a great source. Rich in vitamin C, blueberries can play a healthy role in an otherwise decadent dessert and taste great as a cereal topping and tossed into salads. Other sources of antioxidants that you can include in your healthy diet are red wine and dark chocolate. Kaufman-Janette also offers this tip: Eating fruits and veggies in their fresh, raw form provides more antioxidants than when cooked. Follow us the rest of week on how to introduce more of this fantastic fruit into your diet and make some fantastic home made treatments.